Terminology extraction is an important work for automatic update of domain specific knowledge. Contextual information helps to decide whether the extracted new terms are terminology or not. As extraction based on fixed patterns has very limited use to handle natural language text, we need both syntactical and semantic information in the context of a term to determine its termhood. In this paper, we investigate two window-based context word extraction methods taking into account of syntactic and semantic information. 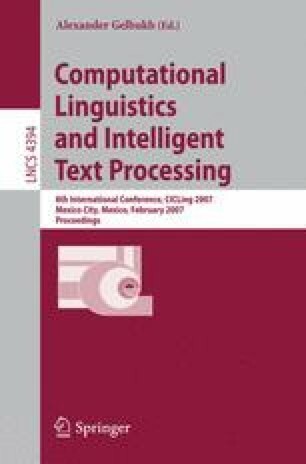 Based on the performance of each method individually, a hybrid method which combines both syntactical and semantic information is proposed. Experiments show that the hybrid method can achieve significant improvement.